With two crucial members, Philippe Coutinho and Mohammad Salah, of their dangerous front four missing from the matchday squad, Jurgen Klopp didn’t have the same teeth in his attack at Turf Moor where they took on the Clarets on Monday. 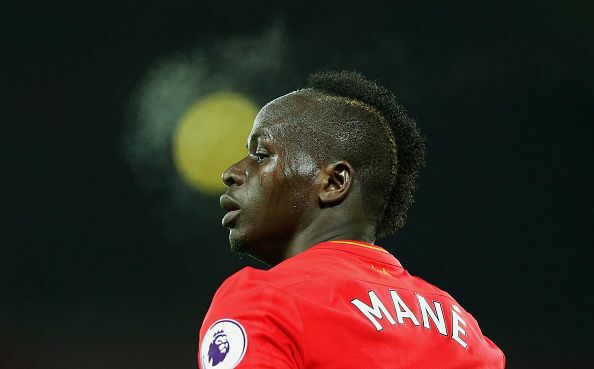 However, Sadio Mane continued his blistering form from the wings as he gave the Reds the lead on the half-hour mark with an unstoppable drilling shot past Burnley goalkeeper Nick Pope, after collecting a cross from full-back Trent Alexander-Arnold. Given the brilliant form Sean Dyche’ side has been this season they were bound to make a comeback and Johann Berg Gudmundsson did exactly that with a perfectly placed far post header in the 87th minute. However, just when the Clarets looked sure of sharing the spoils of a hard-fought game, the Reds saw an unlikely scorer in Ragnar Klavan, who buoyed by Dejan Lovren’s header, turned the ball in at the 94th minute. Liverpool are now sitting 4th on the table having gone 13 matches unbeaten. Though the Toffees, captained by former Manchester United legend Wayne Rooney, caused a few problems in United’s defence during the first half, the hosts were largely blunt in their approach. After the visitors were reduced to mostly long-range efforts in the opening half, they started to get pockets of spaces in Everton’s defence later on. It was Anthony Martial who capitalized on the sudden flurry of chances, as the Frenchman sent a curling effort past Jordan Pickford into the top corner in the 57th minute. Everton responded strongly after conceding as Oumar Niasse saw his header going agonizingly wide. However, United took the result beyond doubt as Jesse Lingard sealed the win in the 81st minute with a great effort into the top corner, from Paul Pogba’s second assist of the game. This was United’s first win in the last four matches as the Red Devils returned to the second position, trailing leaders Manchester City by 12 points. Leicester City ensured that they start 2018 on a positive note as the Foxes registered their first victory in last five games by convincingly beating the Terriers 3-0 at home. It was Riyad Mahrez, who drew the first blood in the 53rd minute after a relatively quiet first-half as he finished off with a brilliant volley from Marc Albrighton’s cross. On the hour mark, Japanese striker Shinji Okazaki doubled Leicester’s lead with a cheeky chip over Huddersfield’s Jonas Lossl, compensating marvellously for Jamie Vardy’s absence. With the game largely beyond any doubt now, Albrighton provided the icing on the cake with a tap-in from a deflected cross by Demarai Gray. The win saw Leicester retain their eighth position on the league table.